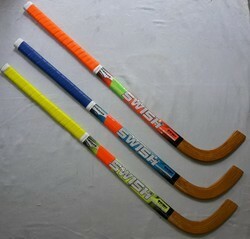 We Hind Industrial Corporation - Manufacturer of Roller Hockey Stick. Selected mullbery wood ice or roller hockey sticks specially made for skaters. To furnish the diverse requirements of our clients in the best possible manner we are involved in offering an extensive range ofRoller Hockey Sticks.